The cold weather of winter leaves behind some clues for us (if we look) from the previous busy season of the avian world. Simply look up and take notice. Barren-looking trees with their foliage stripped will reveal the nests of several species, and what they’ve used for nesting materials. Large, messy nests are usually the work of squirrels, while a smaller nest consisting of twigs and grasses may be that of a Cardinal, Blue Jay, or Mockingbird. An even smaller nest with tightly woven plant fibers, maybe even some milkweed or thistle down still attached would be the work of an American Goldfinch. You’d have to search a bit harder to find nests from Bluebirds, Chickadees, or Nuthatches, as these birds nest in cavities or birdhouses. You can easily encourage nest building around your place this season by offering nesting materials before the season actually starts. Although there are many cool kinds of materials and holders available, this is most definitely a “do-it-yourselfer”! 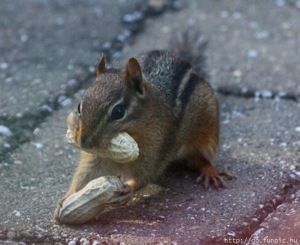 Start by gathering nesting materials now. Feathers and pet hair are preferred by Chickadees, while decorative mosses (Spanish, Sphagnum, and that thin, curly straw-like stuff) might be used by many species mentioned above. Bright cotton yarns add a nice touch too, as variety is the spice of life. Although I’ve always heard that dryer lint is a good one… our local birds have never touched it when previously offered. Stay away from plastics, fishing line, and the like. These can get tangled around nestlings or their legs, proving to be hazardous, and sometimes fatal. Now, what to put your nesting materials in? That part is simple! 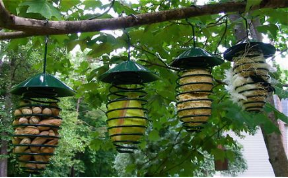 A standard suet cage works perfectly, as do the mesh produce bags from the grocery store (the kind apples come in). 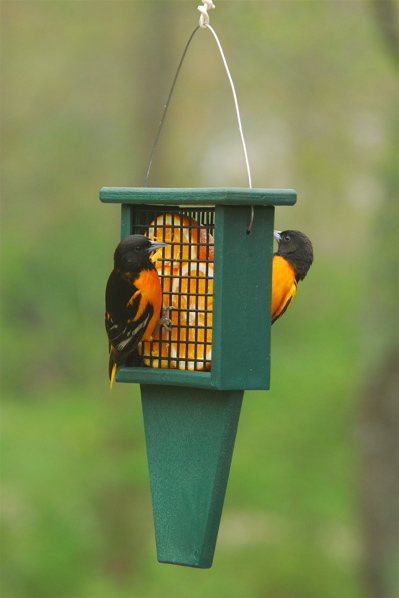 The Spring Feeder shown here is just that, meant for fruit or suet. 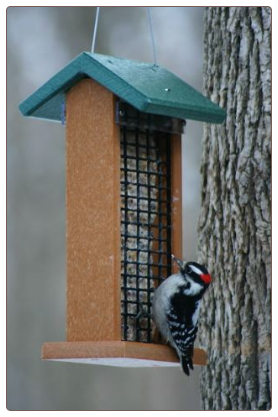 We’ve found whole peanuts and our nesting materials work great in them too. Talk about versatility! 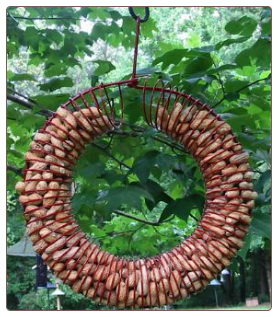 Put a mixture of materials in several holders and hang them from branches around your yard where the birds will see them. Do pull some materials through to get started, but don’t pack them in too tightly. Birds need to be able to pull them out fairly easily, and should the rain saturate the nesting material, it will dry quickly if air can flow through it. So start gathering… and here’s to many successful broods this season!